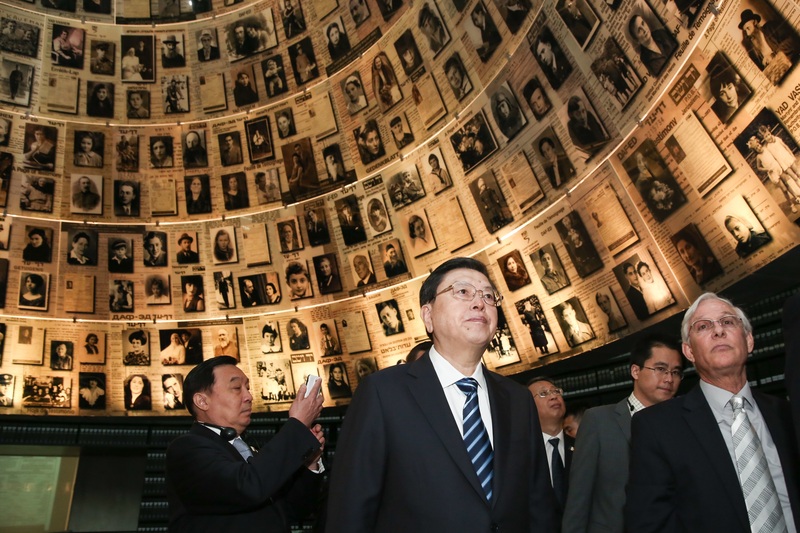 Increasingly, Chinese tourists and diplomats are looking for the curious mix of ancient history and futuristic thinking that the Jewish state offers. On a crisp December morning, a group of Chinese tour guides and travel agents made their way through the narrow streets of Jerusalem’s Old City. For most of them, it was their first visit, and they were eager to soak up the city’s complex history in order to sell the destination to their clients back home. They entered the courtyard of the Church of the Holy Sepulchre and listened attentively as their Israeli tour guide spoke to them in Mandarin about how six different Christian denominations share this sprawling structure, which dates back to the fourth century C.E. The guide led the group into a side chapel used by the Egyptian Coptic church, then up a staircase on to the roof, where Ethiopian monks live in stone huts. Despite coming from an officially atheist country, Chinese visitors are extremely interested in the history of the religions that began in Israel and how they have influenced Western civilization. “Israel is very attractive to people because of the history and the culture you can find here,” said Mei Xiangrong, founder of Beijing-based Yingke Travel, who was on his second trip to Israel, a destination for more and more of his clients. As the tourists passed a souvenir shop just outside the church, Bora Shnitman, director of the Israeli Government Tourism Office in China, pointed out a Jewish history book in Chinese displayed among the myriad postcards, wooden crosses, scarves, and other items for sale. “That wasn’t even there a couple of years ago because people from China didn’t visit here so much,” he said. But now Chinese visitors are one of the fastest growing segments of Israel’s tourism industry. In the first ten months of 2016, about 65,900 visitors arrived from China, 53 percent more than the same period of 2015, according to Israel’s Central Bureau of Statistics. Tourism officials say that this is only the beginning. By 2018, the Ministry of Tourism expects 100,000 Chinese visitors annually. And tourism is only one of the indicators of growing Chinese interest in Israel. Israel and China will mark 25 years of diplomatic relations in 2017. In addition to growing economic ties, recent years have also seen a blossoming of interpersonal relationships between members of their two ancient cultures. Around Israel, from hotels to tourist sites to universities, Chinese interest in the culture, people, and history of the country is growing. For many Chinese, Israel is a place full of surprises, from Hasidic Jews clad in 18th-century garb to the Startup Nation’s newest technological developments. “To the Chinese, Israel is still a very mysterious country, a place they can see something they have never seen before,” said Ge Guodong, author of a Mandarin guide to Israel who is currently part of the Israel-Asia Leaders Fellowship program, sponsored by the Jerusalem-based Israel-Asia Center, a non-profit organization seeking to expand collaboration between Israelis and citizens of Asian countries. In 2014, a few days after his graduation, Ge arrived in Israel to attend a summer course on water technology at Ben-Gurion University. That turned into studying for a master’s degree and now the pursuit of an MBA at Bar-Ilan University. Ge is also partly responsible for bringing what may be hundreds of other Chinese students to Israel through his online information and consulting company targeting students from China. 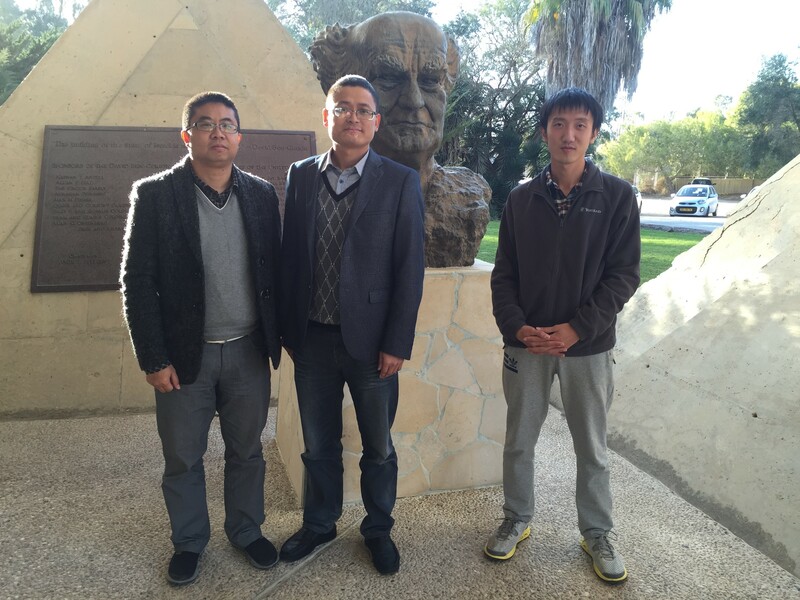 He also runs Ben-Gurion University’s social media campaigns to recruit Chinese students. “I think more and more Chinese will come here,” Ge said. “But I am not sure Israel is ready.” He laughs and says that the country has a shortage of translators, guides, and hotel employees who speak Mandarin. China’s first contact with the Jewish people came as a result the development of the Silk Road, an ancient trade route linking East and West that was created under the Han Dynasty in 206 BCE and included routes established 200 years earlier by the ancient Persians. The Silk Road stretched from the east coast of China through India, Central Asia, the Persian Gulf, and the Mediterranean Sea. Historical documents indicate that throughout history Jews were among those living, traveling, and working along the Central Asian trade routes. In his 9th century Book of Roads and Kingdoms, the Persian geographer and bureaucrat Ibn Khordadbeh describes Jewish merchants, known as Radhanites, who traveled all the way from Europe to China via the Silk Road, bearing slaves, swords, and furs to China. “On their return from China they carry back musk, aloes, camphor, cinnamon and other products of the Eastern countries,” Ibn Kordadbeh writes. During the Northern Song Dynasty in the 10th and 11th centuries, Jews began to settle permanently in the city of Kaifeng, a cosmopolitan center located on a main trading route in what is now China’s Henan province. Inscriptions indicate that the community built a synagogue in 1163, but they had assimilated into the rest of the Chinese population by the 19th century. Jews did not reach China in large numbers again until the 1930s, when about 20,000 escaped persecution in Nazi Germany and settled in Shanghai, where there was a small community of Russian Jews who fled the Bolshevik Revolution in the 1920s. At the outbreak of World War II, Shanghai held the highest number of Jewish refugees in the world. The community was eventually forced into a ghetto when Nazi-allied Japan occupied China, only to be liberated in 1945 by Chinese and U.S. troops. But after the war, as China was consumed by civil conflict, most of Shanghai’s Jews left the country. It was not until nearly half a century later, in 1992, that China and Israel established diplomatic relations. Increased sales of Israeli water technology and weapons to China quickly followed, but the economic relationship did not really begin to pick up speed and importance until around 2009, when the global financial crisis spurred Israel to begin looking east for economic opportunities. 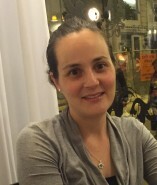 “This brought about a realization that not only could Israel not rely as heavily on the North American and European markets, but that it was in fact part of a continent that is home to the majority of the world’s population, and three of the world’s top ten largest economies,” said Rebecca Zeffert, founder and CEO of the Israel-Asia Center. China is now Israel’s third-largest trading partner after the United States and the European Union. Though China is the world’s second-largest economy and seems to be investing everywhere in the world, it is especially drawn to Israel. As it seeks to transform itself from a manufacturing powerhouse to a leader in technological innovation, Chinese investors have poured hundreds of millions of dollars into Israeli high-tech startups, and several Chinese multinational corporations have set up research and development facilities in Israel. Talks aimed at creating a free-trade agreement between the two countries are scheduled to begin soon. And China is now seeking to resurrect the Silk Road by reviving some of its ancient Middle Eastern trade routes under its One Belt One Road program, placing Israel in a strategically important geographic position. As a result of this growing economic collaboration, Israel has an increasingly high profile in China, and many Chinese have begun to take a cultural interest in Israel. One of the results can be seen deep in Israel’s Negev Desert, in a collection of pink, brown, and yellow buildings that house the Ben-Gurion Institute for the Study of Israel and Zionism. Just a few miles from Kibbutz Sde Boker, where Israel’s founder David Ben-Gurion lived and is buried, the institute is the temporary home to six Chinese academics who after completing a semester here will return to teach courses on Israel at their home universities. Their fields range from linguistics to history to Middle Eastern studies. “Israel is a very important country in the Middle East, so we want to encourage our students to study it more,” said Hui Yang, a lecturer at the Institute of International Relations at Yunnan University, and one of the six fellows in the program, which is run by the Sino-Israel Global Network and Academic Leadership Institute (SIGNAL), a non-profit organization fostering academic cooperation between Israel and China. Yunnan University has offered a degree in Middle Eastern studies since the 1960s, but has only recently taken a strong interest in Israel, Hui said. And it is not alone. There are now more than a dozen universities in China offering Israel and Jewish studies programs, according to SIGNAL. People’s reasons for studying Israel or Jewish culture vary from wanting to compare Hebrew and Arabic to learning about Israel’s approach to national security to analyzing its strong tradition of innovation and entrepreneurship. Aside from their academic studies, the students visit the country’s main tourist sites as well as places like the Bedouin shuk in Beersheva. Many students say it is these extracurricular activities that help them understand the local culture in depth. “The religious and ethnic diversity of Israel is amazing,” said Lee Weieng, a researcher of linguistics at Shanghai International Studies University. It is not only in the desert that Chinese students can be found in Israeli classrooms. Since 2012, the Israel Council on Higher Education has provided scholarships to about 700 students from China to study in a variety of programs at all of its universities. “This initiative has really changed the makeup of our student body,” said Timna Zaray-Mizrahi, director of the division of graduate studies at the Hebrew University of Jerusalem’s Rothberg International School, where students from China now make up 15 percent of the students. Israeli institutions like the Technion and Tel Aviv University have also opened branches and programs in China. None of this existed when SIGNAL was founded in 2011. “There were no people-to-people initiatives back then, no academic relations,” said Carice Witte, who created the organization and majored in Chinese studies at Yale University. SIGNAL was welcomed in China when it began to help build up Israel Studies programs there and offer scholarships to study in Israel. 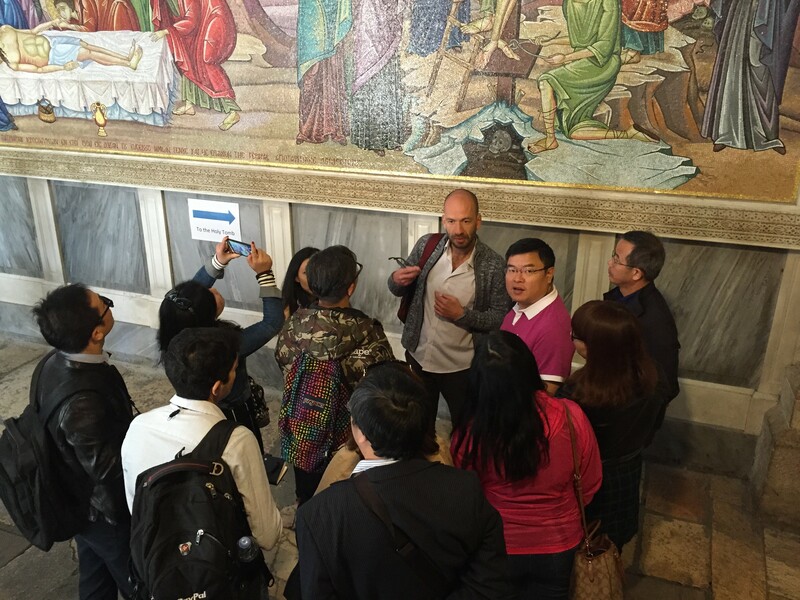 Back in Jerusalem, as the tour group passed the Chinese book in the shop near the Holy Sepulchre, Shnitman noted that Israel’s tourism industry is starting to pay attention to the Chinese trend. “The awareness of Chinese visitors is increasing,” Shnitman said. On the ground in Israel, major efforts are underway to cater to Chinese visitors. Several hotels now offer Chinese guests the perks they are used to in hotels at home—tea pots, slippers, and a complimentary toothbrush. The Dan Hotel in Tel Aviv recently added a Chinese corner to its breakfast buffet, offering noodles and broth for those not used to eating the eggs, salads, and cheeses that define the traditional Israeli breakfast. To address the shortage of tour guides who cater to Chinese groups, the tourism ministry recently launched a program to provide scholarships to Mandarin-speakers in Israel seeking to become licensed tour guides. The program includes a two-year-long course about the history and geography of Israel. Harel Bachenaimer, who is guiding Shnitman’s group, said he has jobs almost every week that require him to use the Chinese he learned in university and a year of study in China itself. “There are more and more opportunities in the field for tourism, for business.” he said. The interpersonal element of the Israel-China relationship is a rather new development, but it is essential in order for the countries to keep growing their economic relationship. “Both sides still have a very superficial understanding of the other,” said Zeffert, the CEO of the Israel-Asia Center. She believes the two sides must “get beyond the stereotypes, and get to know and understand each other’s histories, cultures, languages, societies, challenges and concerns—and ultimately build trust and integrated interests for the long-term.” This deeper understanding will help when making business deals, something that both Chinese and Israeli entrepreneurs say is often difficult due to language, cultural barriers, and expectations of working relationships. The recent intensifying of Israel’s relationship with China is promising for both countries, although its long-term implications remain unclear. China desperately needs the sort of high-tech innovation that Israel offers in order to transform its giant economy into one that leads in ideas and not just manufacturing efficiency. And China’s population of nearly 1.4 billion people is growing wealthier each year, offering a lucrative market for Israeli products. In addition, the growing interest in Israel among China’s population is significant in terms of public diplomacy. But as China’s power grows and worries increase that the American-dominated world order is changing, there is much uncertainty as to what this all means for Israel, especially given the fact that China has strong ties to Persian Gulf oil powers and a history of military cooperation with Iran.